Now that we are able to officially pair Bluetooth keyboards with our Apple TVs, the question quickly becomes: what are the best Bluetooth keyboards to use? Well, after searching the highest highs, the lowest lows, and everywhere in between we believe we have compiled a list of the best options, and great choices, for every preference out there. Granted, you may be thinking to yourself that all keyboards are the same but the fact is that there are a wide verity of options out there. Each options is designed with your preferences in mind. So, ask yourself if you like minimal design or the busy looking? Do like small keyboards or large keyboards? Do you love official Apple gear or do you prefer other brands? Whatever your preference is, we have found the keyboard for you. For use with your Mac, iOS devices, and now your Apple TV, this sleek, completely cable-free aluminum Apple Wireless Keyboard uses Bluetooth technology, so you’re free to move the keyboard just about anywhere within range and wirelessly type away. 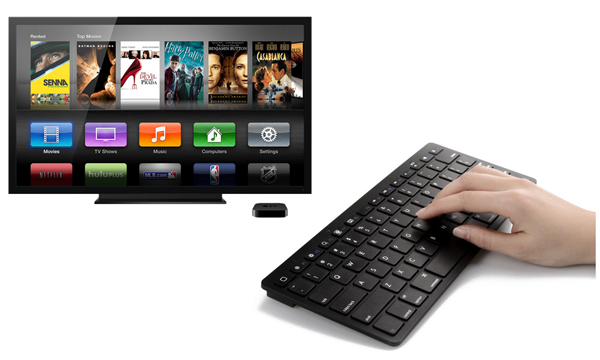 Use the Apple Wireless Keyboard on your desk, on your lap, or anywhere within 30 feet of your Apple TV. Also, worth mentioning, this compact design takes up 24 percent less space on your desktop than full-size keyboards. For those of you who love the look and feel of the Apple Keyboards, but are not fans of the prices, this is the best option for you. 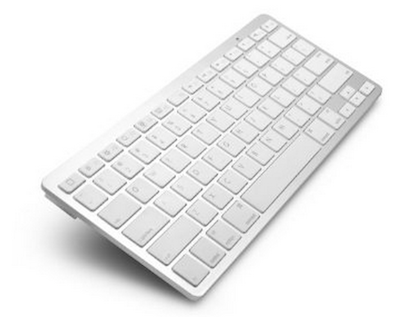 This device offers all the functionality of the smaller Apple OEM keyboard at a fraction of the price. 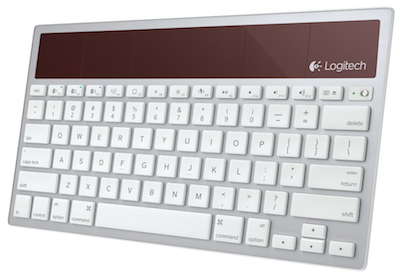 This keyboard offers great battery life and great performance for your Apple TV. 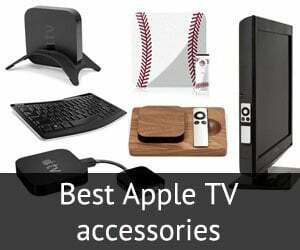 If you love the Apple look, but wish they had a keyboard to match your Apple TV, this is the best option for you. Notice one key difference with this device, this keyboard comes in a beautiful matte black finish. This device offers all the functionality of the smaller Apple OEM keyboard at a fraction of the price. This keyboard offers great battery life and great performance for your Apple TV. 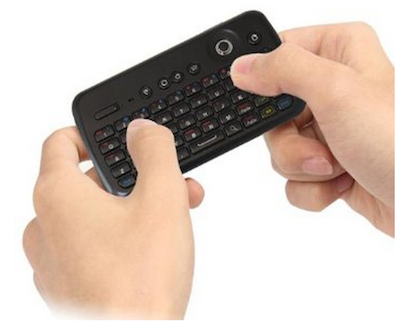 Stylish sleek innovative nearly-full-size portable Bluetooth keyboard easily switches between 3 devices. 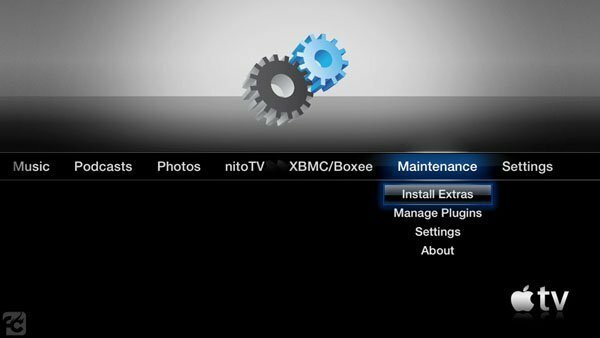 This can include your Apple TV, your tablet, and even your phone, no matter what the operating system. The best feature here is likely the use of backlighting. Now you can see what you are typing in the dark. The keyboard is continually powered and charged by any light—even the one on your desk. Fully powered, you can type on it for at least three months—even in complete darkness. 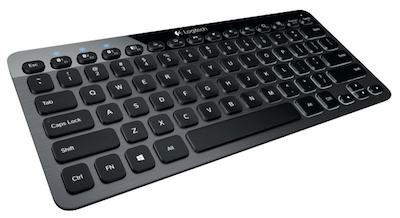 You get a familiar layout with all the keys you expect—Command, Brightness, Eject keys and more. Compact comfort. Clean lines. Stay comfortable and productive with this sleek Bluetooth keyboard. Exclusively for Bluetooth computers and devices – no transceivers to connect or lose. This device has a unique design with a winged, or curved, keyboard. For those of you looking for an ergonomic approach to typing from your lap, this may be the keyboard for you. The new, ultra-slim Wedge Mobile Keyboard was designed for Windows 7 and Windows 8 tablet users who are constantly on the go, but it also works with iPads, iPhones, iPods, and of course your Apple TV. Its thin, lightweight design makes it easy to carry, while the full-sized, soft-touch keyset provides a comfortable, efficient typing experience that makes using it a breeze. 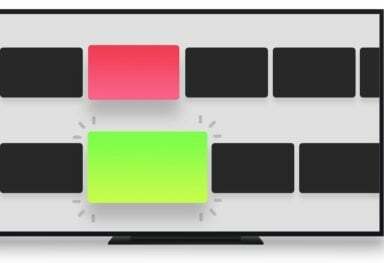 Compatible and mapping with your Apple TV, Microsoft OS, iOS, and Android devices. 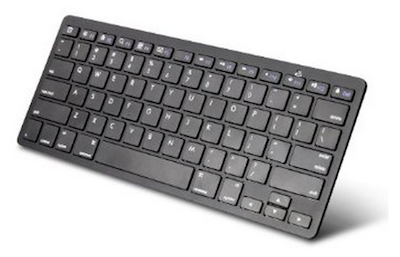 PERIBOARD-804 is an ideal Bluetooth keyboard for your tablet PC and Smart Phone. With its portable size and light weight, you can easily carry it together with your tablet or smart phone on the go. Works within a 30ft range. Brand new bluetooth wireless keyboard with a foldable design allows you to carry your device anywhere. It is small, light, and easy to store, waterproof and easy to clean. The keyboard is powered by a built-in rechargeable battery. Recharge your battery by connecting the provided USB cable to PC or laptop. 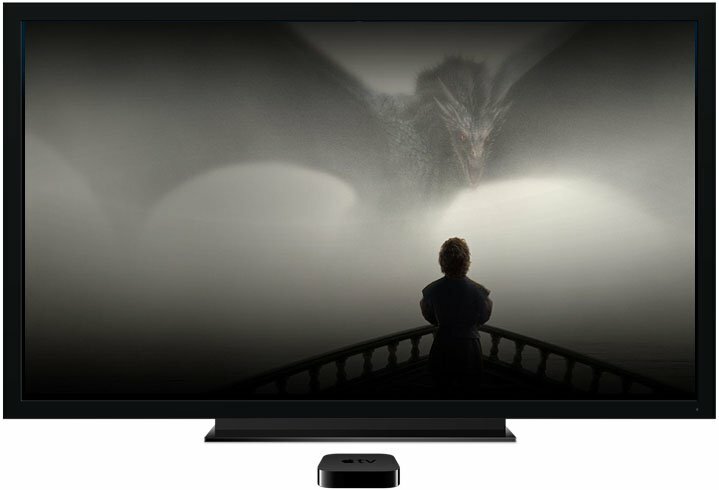 This support Bluetooth v2.0 and will work great with your Apple TV. Note: this is best for hard surfaces, not a great option for lap type’rs. 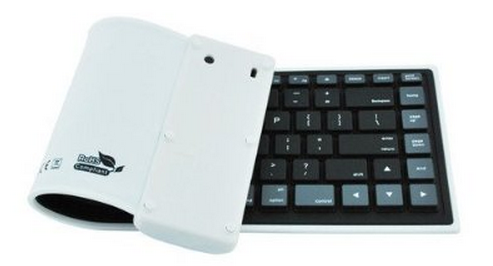 Satechi ST-K100 is a wireless Bluetooth mini keyboard and integrated mouse. Sleek and slim design fits comfortably in your hands and allows for easy typing with its precise keys. Designed to work with your Bluetooth-HID-enabled iOS or Android SmartPhone, Tablet, HTPC or PS3 – no software installation – no cables to keep track of, simply turn on the Bluetooth on your device and connect via Bluetooth.